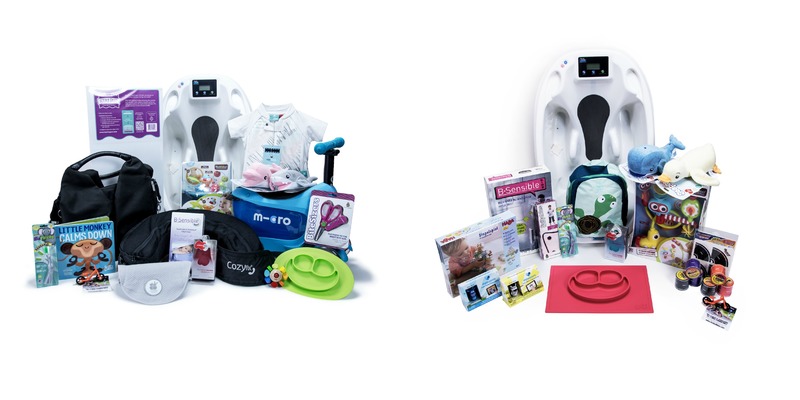 SCOTTSDALE, AZ--(Marketwired - December 16, 2015) - Brilliant Products Int'l, DBA as Brilliant Baby Products and Brilliant Kid Products, announced today it has presented two sets of amazing holiday gift baskets to nearly two dozen of Hollywood's top stars. "Brilliant Products is known nationwide for finding and promoting the must-have products that make parenting easier and more fun," said Kathleen Tomes, President of Brilliant Products Int'l. "This year we hand-delivered an array of the hottest toys and gifts of the season to celebrity parents and their little ones. We know and understand that celebrity parents have a lot of choices which is why we work with only the top brands and best baby and kid products to help them fully enjoy the precious time they spend with their families." Brilliant Products created two different baskets for the celebrities, based on the age(s) of their child(ren). The "Maternity and Baby Must-Have" gift baskets were sent to Jennifer Love Hewitt, Kim Kardashian, Kourtney Kardashian, Alicia Keys, Mila Kunis, Blake Lively, Hayden Panetierre, Molly Sims, Chrissy Teigen, and Olivia Wilde. The "Amazing Kids Must-Have" gift baskets were sent to Hilary Duff, Jennifer Garner, Jennifer Love, Hewitt, Kate Hudson, Kim Kardashian, Kourtney Kardashian, Alicia Keys, Giuliana Rancic, Molly Sims, and Charlize Theron. Celebrity gift baskets are just one of many services offered by Brilliant Products, which further serves its clients by offering a fully-customized and coordinated approach to sales, advertising, marketing and public relations for products in the juvenile products industry. Celebrity gift baskets are sent several times each year and product submissions are accepted throughout the year. Interested businesses are encouraged to submit their information to media@brilliantbabyproducts.com to be considered for selection.